When planning a Caribbean wedding it’s essential that you have a pair of chic sunnies – before you have an actual wedding date – and now I do. Ta Chezza. These ones just happen to be by one of my faves, House of Holland. Woot, woot! I don’t know where to start with these. 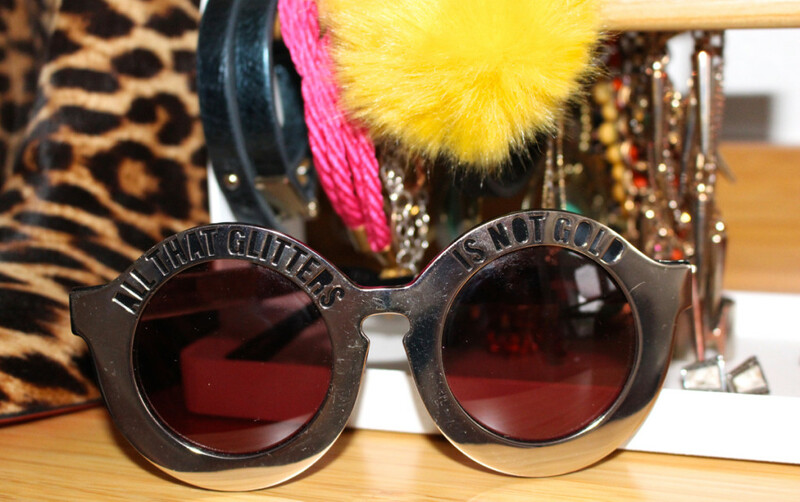 I love how bold and garish they are, the metallic bronze frame, the round lenses and the ‘all that glitters is not gold’ quote. They are perfection with a retro 70s vibe and a whole heap of attitude. I can imagine wearing them every day on holiday. Now I just need a wedding dress to pair them with.